transpress nz: What are New Zealand's best drives? 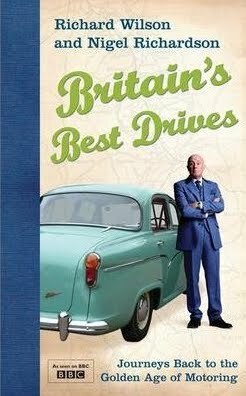 A series - highly recommended - currently screening on the Living Channel is Britain's Best Drives, 6 half-hour episodes in which actor Richard Wilson takes one of six classic cars of the time on a spin along what were regarded as the best drives in Britain in the 1950s, in a bid to not only portray the present scenery and townscapes along the routes, but also to find out how life has changed in Britain over the last 50 years with interviews and side tours. The answers in NZ to the last aspect would be fairly similar - among other things, immigrants have flooded the big cities, native Britons now solely populate only the smaller places, crime is well up, people now have little respect for each other, traffic has massively increased, as has the pace of life and with it stresses and tensions. But what are NZ's best drives? Back in the early 1990s one of our associates proposed a book covering what he considered the top three - the West Coast Highway (Arthur's Pass route), the Te Anau - Milford Sound Road and the Desert Road (Waiouru - Turangi). This never eventuated, but we would like to hear from people on what they would include. I would add to those 3 the road around the East Cape (North Island), Lewis Pass to Hamner Sprins, Lindis Pass and the south Westland road. There are so many lovely drives in this beautiful country ... we love driving around the coast in Wellington from Oriental Bay to Ohwiro Bay, over 40 km.